Working with wood has always been a passion of mine. 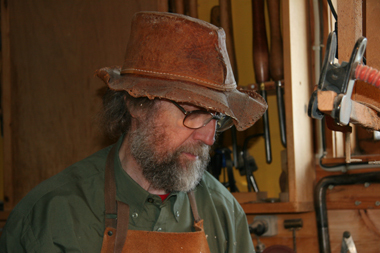 From memory, I began working with wood when I recieved my first pocket-knife, at 2 years of age.Today I am a full-time, sculptural-woodturner and have my workshop and gallery at my home in Leynar, Faroe Islands. As well as making items which I display and sell in my gallery, I also give woodturning demonstrations to tourists and school groups. In my gallery I have a collection of bowls and lamp shades. Thinly turned lamp shades are my favourite pieces to make. 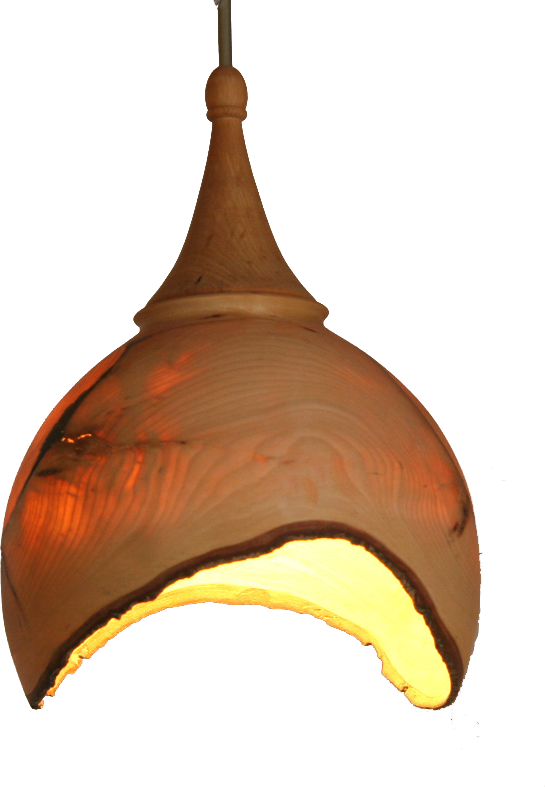 When wood is turned till it is extremely thin, light can be transmitted through the wood. 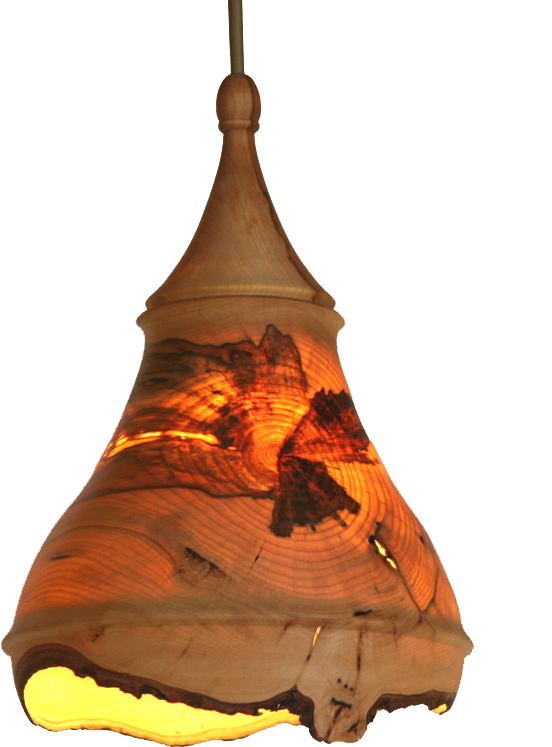 Transmitted light illuminates the properties and thus beauty of wood. 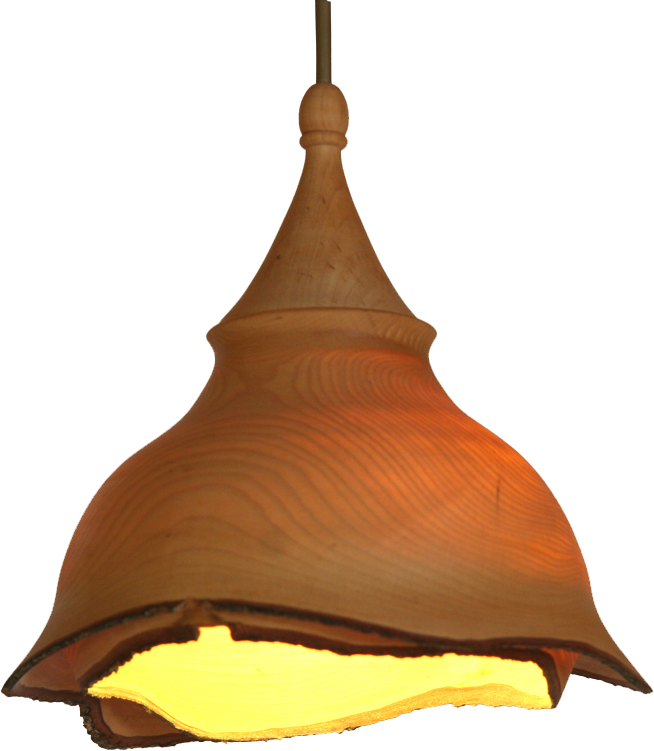 Hence, I feel that thinly turned light shades are the ultimate way to enjoy and appreciate wood. 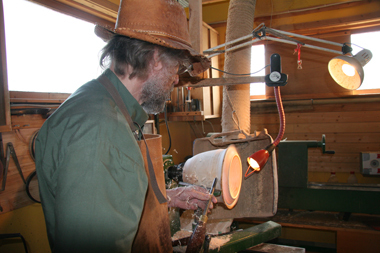 Pictures are an example of Ole Jakob fine-turning a lamp. At this point the lamp has already been 'rough turned' and then left to season for a minimum of one year. 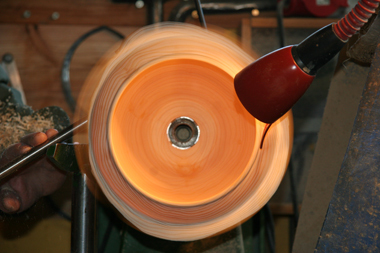 Seasoning is required to ensure that the wood does not crack or distort in the final turned object. 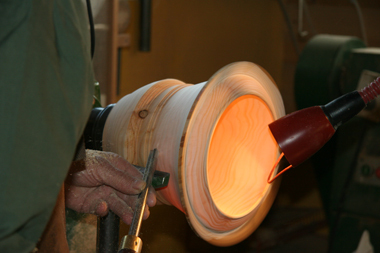 After seasoning, Ole Jakob then turns the lamp until the wood is extremely thin, between 0.5 mm and 1 mm. At this thickness, light is able to be transmitted through the wood.